Whether or not it is acceptable, or indeed helpful, to listen to music at work is a divisive issue. Whilst some claim that music helps them focus and be more productive, others insist the opposite to be true. The truth, coming about as a result of numerous scientific studies, is that listening to music whilst working is effective in certain scenarios only. We’ve compiled the data and created a breakdown of the do’s and don’ts of listening to music at work. Repetitive work: Mood improving music – which triggers the release of uplifting chemicals such as dopamine and serotonin – has been proven to aid the productivity of those who do repetitive work. For instance, in the case of long distance truckers whose work can quickly become tiresome, music can provide some much-needed stimulation. Noisy work: Noisy and distracting work environments can detract you from your focus. Your brain will try and process each separate sound element around you, and this costs mental energy and can increase stress and distraction levels. In scenarios like this, listening to music can help you block out all of this exterior noise. 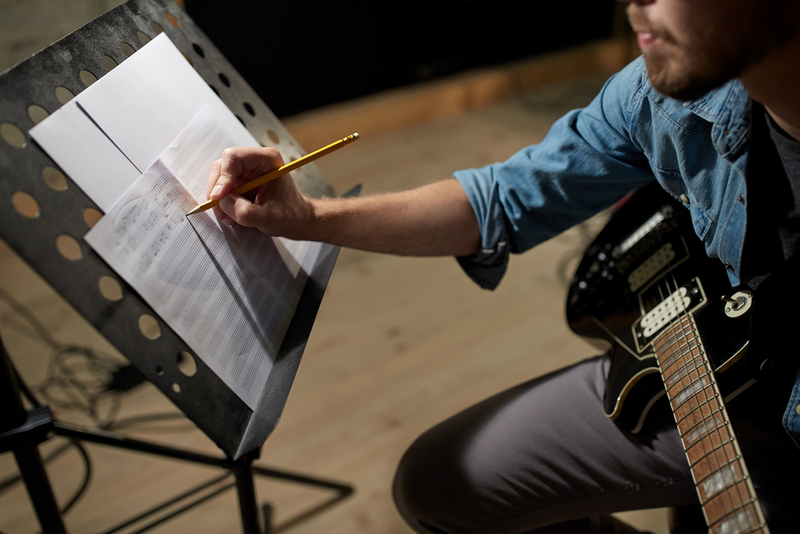 Creative work: Uplifting music that raises your spirits can boost your cognitive and creative function. Studies have shown that workers, with creative tasks, often come up with more innovative ideas when listening to positive music. Problem solving work: Unfortunately, it has been shown that music does not aid ‘convergent thinking’ (problem solving). Silence is usually the optimum conditions for problem solving tasks. When trying to focus on a challenging conundrum, music is simply a distraction as the creative benefits become irrelevant. Learning something new: Learning requires your brain to collect, analyse and store new information and facts. In these circumstances, with the addition of music, it is easy for your brain to misinterpret elements of the data. This will make you a less effective learner, and can lead to confusion and errors in your work. To certain kinds of music: Whilst in some instances music can help you work, there are certain types of music that are never appropriate/helpful. Heavy metal, or aggressive music, or music being played too loud will only ever be distraction. It could also have a negative impact on those around you. Also, music you aren’t already familiar with is inadvisable as it will contain too many elements that surprise you and demand your attention. Finally, as a general rule of thumb, classical or less lyrically heavy music is more conducive towards aiding your work. There are of course other things to take into account before beginning to listen to music at work. For example, will you wearing headphones make your feel or appear cut off from the rest of your team? Or, could it impede you from receiving crucial information such as alarms or announcements? In some cases, if you are new to this particular working environment, it can be tricky to work out if listening to music would be considered acceptable. If you don’t see others doing it – and perhaps if you do – best to consult your manager first before listening to music. With this information, we hope you are now able to work out whether or not music could improve your performance and productivity at work.